The grass roots effort is spearheaded by a Santa Clara County public defender. 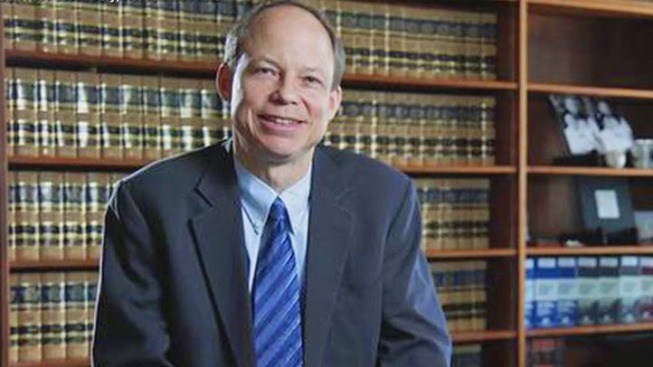 A growing group of Bay Area legal professionals are publicly opposing the so-called recall efforts aimed at Judge Aaron Persky. The grass roots effort is spearheaded by Sajid A. Khan, a Santa Clara County public defender. As NBC Bay Area has been reporting, Persky has been the target of several recall movements after he sentenced former Stanford swimmer Brock Turner to six months in jail for two sexual assault convictions in late May. Turner was arrested, in 2015, after he was caught on top of an unconscious half-naked woman, near a campus party. At the trial, the alleged victim wrote a letter read in court that went viral talking about how much the assault had impacted her life. The national women's advocacy group UltraViolet launched an online petition drive to get Persky removed and supported other efforts to collect about one million signatures. The groups accuse Persky of "being more concerned with 'rapists' than 'survivors.'" UltraViolet turned the petitions into the California Commission on Judicial Oversight in hopes of getting Persky removed. Khan's group started an online petition of its own to support Persky and has gathered more than 200-signatures, including other public defenders and local attorneys. Khan reached out to NBC Bay Area after UltraViolet put up a billboard on Highway 92 calling for Persky to be taken off the bench. "Judge Persky followed the recommendations of the probation department and has a reputation for being fair in sentencing," Khan said. "It's not good for judges to be concerned about public opinion or threats of recall when making their decisions. "Our petition or letter is designed to offer some counter perspective to those calling for his removal." The Persky controversy also led the Santa Clara County District Attorney's office to call for the court to pull him off another sexual assault case. The DA has also called a news conference on the Persky matter for Wednesday morning.